Pictures 2-2, 2-3, and 2-4. 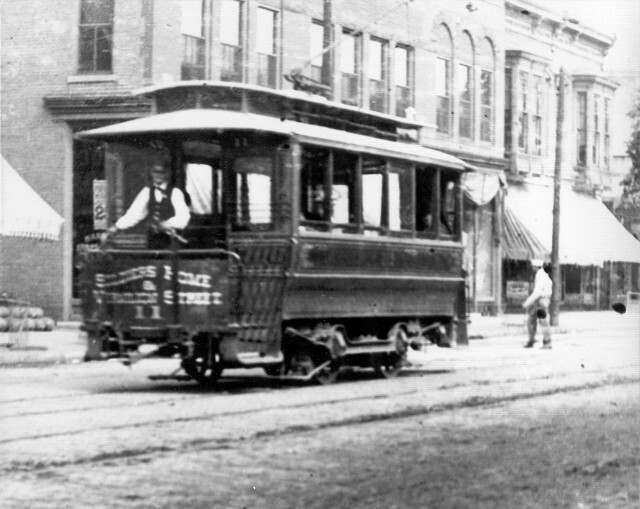 The top picture is of car 5, somewhere downtown, around 1900. 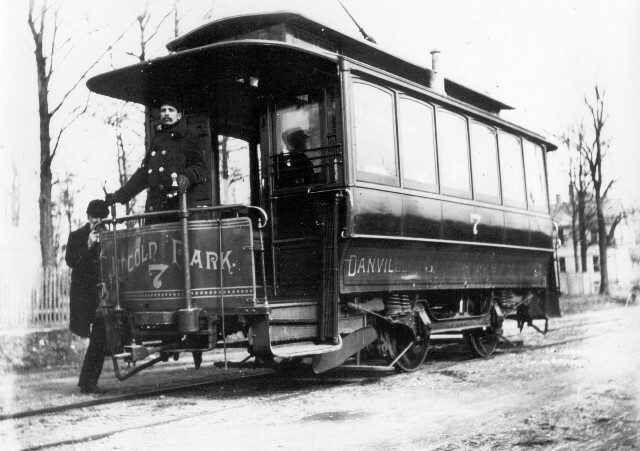 The middle photo shows car 7 on the Lincoln Park line. Notice the motorman, standing tall and proud at his controls, bundled in a heavy coat against the weather, with no cab around him to mitigate the cold. 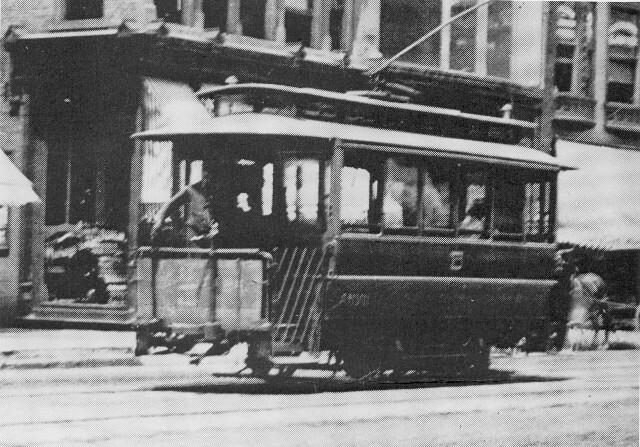 The bottom picture shows car 11 on the Soldiers Home and Vermilion Street line. This must be a summer photo, as the motorman has doffed his uniform coat in favor of a shirtsleeves-and-vest appearance.